Come - join the circus! It’s 1930s France and Mathilde needs to escape. Her family has been struck with Scarlet Fever, bundled away in the ‘fever cart’ and forced into quarantine. Terrified she’ll be taken too, she’s forced to go on the run, stealing scraps of food and sleeping rough...until her world collides with the circus. 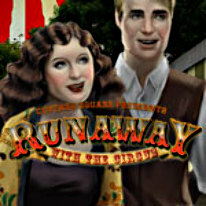 Join Mathilde as she fights her way up the circus ranks and steals the heart of the handsome animal trainer. Sumptuous illustrations, spectacular costumes and an endearing love story will transport you to the elegance and style of the 1930s. Come – join the circus!